As we know that Delhi is the Capital of of India, and Delhi have a lot of Historical places, Adventurous places, political places & much more. So here we will list the most visible places in delhi in sequence. The Lotus Temple or the Bahá’í House of Worship is an architectural masterpiece which will make you want to go ‘wow’ but wait, you can’t say that aloud! Well, when inside the temple, you have to maintain silence! There are no sermons or ritualistic activities practised, one can just sit in peace and pray to their respective gods. 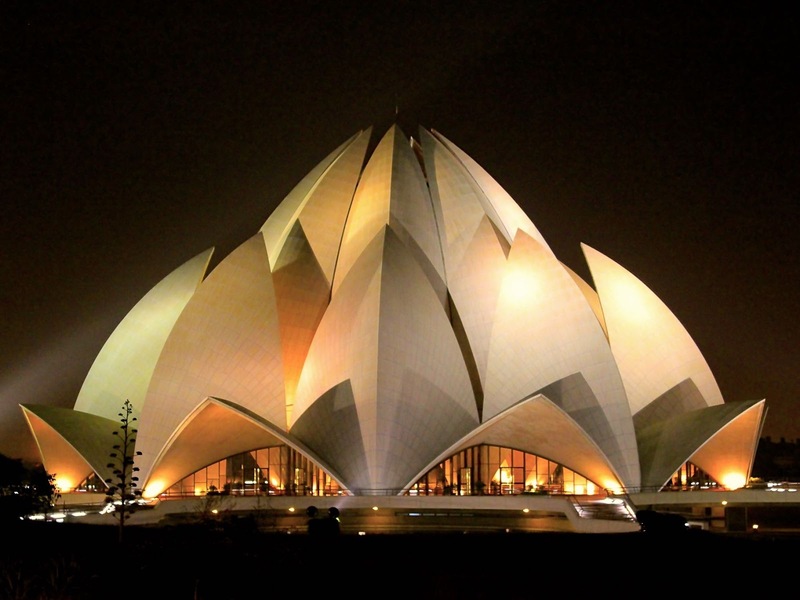 Tip– Lotus Temple organizes daily shows to educate people about Bahá’í faith. Add that to your list. This is a must-see site and should be high on your priority list. 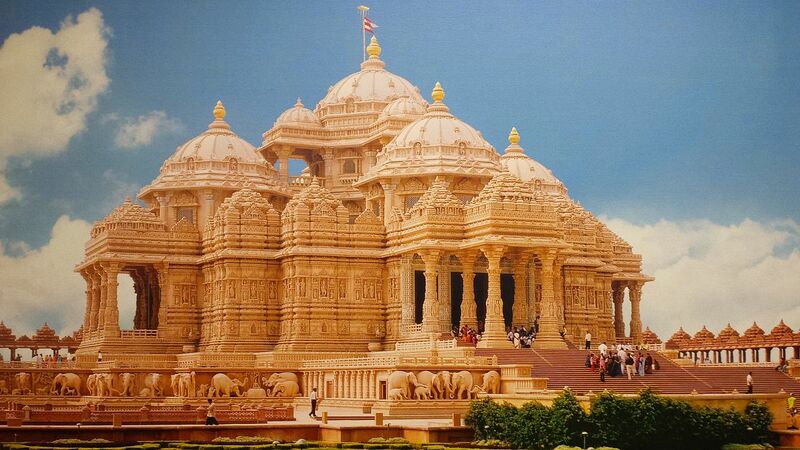 Akshardham attracts 70% of all tourists who visit Delhi (not surprising at all!). Once you enter, I bet you wouldn’t want to leave. It has jaw-dropping architecture, a fascinating fountain show, an informative boat ride, a huge garden, a food court that offers scrumptious dishes and much more. If you are an art enthusiast or just like to go ‘aww’ over fantastic brush strokes, you must pay a visit to this place. NGMA is one of the most serene public buildings in Delhi. Take a walk around this beautiful piece of architecture and you will not want to get back to the hustling roads of Delhi. Tip– Buy picture post cards and souvenirs at affordable prices from the Museum shop. 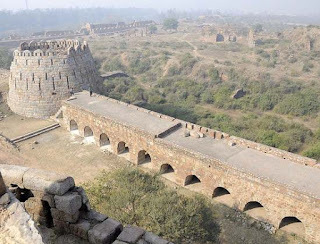 Tughlaqabad Fort was built by the founder of the Tughlaq Dynasty in 1321. It is spread across an area of 6.5 km and is near the well established residential-commercial area of Tughlaqabad. A google-search of the fort is enough incentive for you to jump on the metro and make a fun trip out of it. Don’t forget to take your picnic basket, soak up some sun and enjoy the monumental beauty. Tip– If you go for a picnic, don’t litter. Carry a separate bag for the waste. 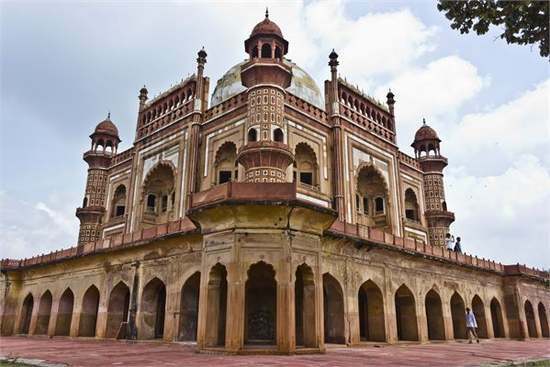 This monument was described as the ‘last flicker in the lamp of Mughal architecture’. 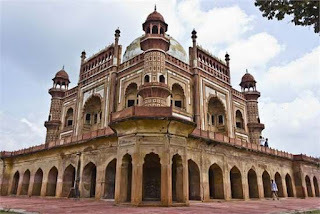 It was built in 1754 for statesman Safdarjung. 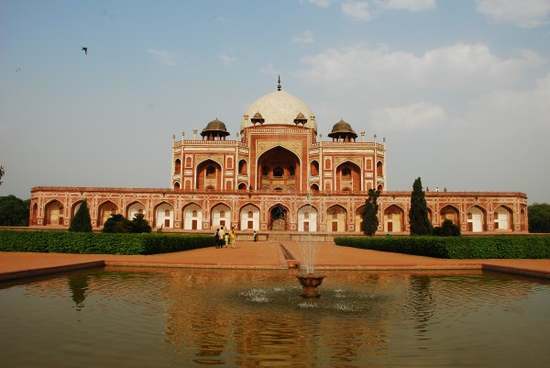 The huge structure is surrounded by beautiful gardens of the Mughal charbagh style. You’ll be certainly surprised with the silent environment here even though it is right next to the busy Lodi Road. Tip– If you have a partner, the gardens are the place to get all cuddly! टिप- यदि आपके पास एक साझेदार है, तो बगीचे सभी पागल हो जाने के लिए जगह हैं! 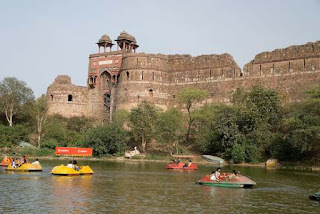 When you visit Purana Qila, don’t forget to walk upto the National Zoological Park or Delhi Zoo. It is spread over an area of 176-acre and is very (read veryyyy) crowded on weekends. If you like long walks this place is perfect for it. Walk around enjoying the funny activities of hippos and the hysterical laughs of the hyaenas. You can also rent a battery-operated vehicle at the zoo to take a tour. Tip– If someone wakes up the lion from his slumber, enjoy the thunderous ‘Rawwwwr’. Baoli which means stepwell was constructed in order to preserve water in ancient times. 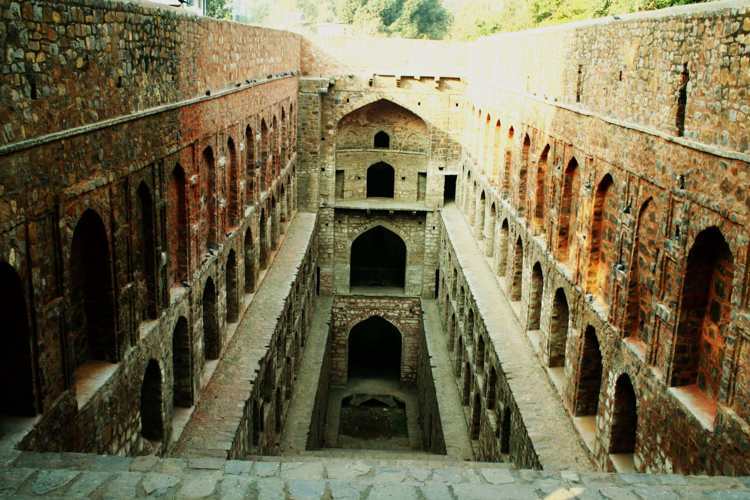 What is special about this baoli is that it is situated right in the heart of the city, surrounded by tall buildings of Connaught Place. In the crowd you might spot poets and artists working their magic on paper thanks to the awesomeness of the location. Trivia– This place is said to be one of the most haunted places of India! ट्रिविया- यह स्थान भारत के सबसे प्रेतवाले स्थानों में से एक माना जाता है! This garden is a treat to the eyes. It has 25 sculptures and murals on display and walkways surrounded by flowering and fragrant shrubs and trees. There is also a food and shopping court in the garden where you can enjoy a good meal while a light breeze awakens your senses. 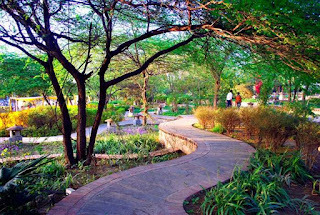 The garden is spotted as one of the most romantic places in Delhi. 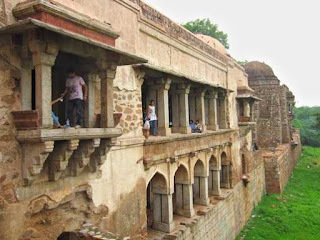 Ranbir Kapoor and Nargis Fakhri shout out some drunken dialogues in the Hauz Khas Fort in their movie Rockstar! The Fort overlooks a beautiful lake where you can feed adorable ducks and swans. To reach the lake, take a walk through the deer park and admire the spotted animals. While you are on the go you will come across boards which will guide you to perform fitness exercises, if you are the playful type I suggest you to follow them on the way, it makes the walk absolutely fun-tastic. The ‘Village’ offers great restaurants, dive bars, clubs, and shopping boutiques. After you enjoy your calm moments at the fort you can head out to one of the popular bars and enjoy a good drink. Hauz Khas Village is for sure a mix of everything nice huh? 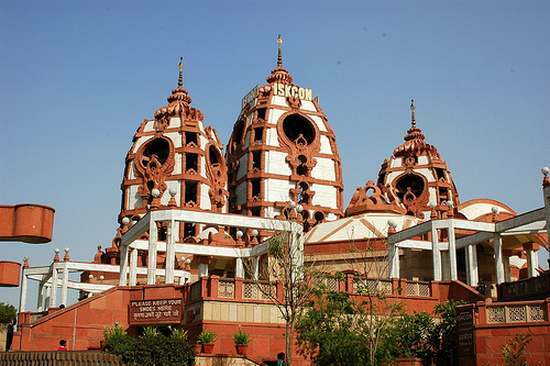 Your faith in God will reach new heights after you attend the ‘Arti’ at the ISKCON Temple. Devotional songs play while you walk around the temple adorned with splendid portraits and idols of Lord Krishna. You will witness a calm environment with an inexplicable energy around you. Tip– Attend the Vedic sound and light show titled ‘Gita Saar’. The Dargah is one of the most sacred mausoleums in India. If you are wondering what it exactly looks like, just picture the song ‘Kun Faya Kun’ from the movie Rockstar. 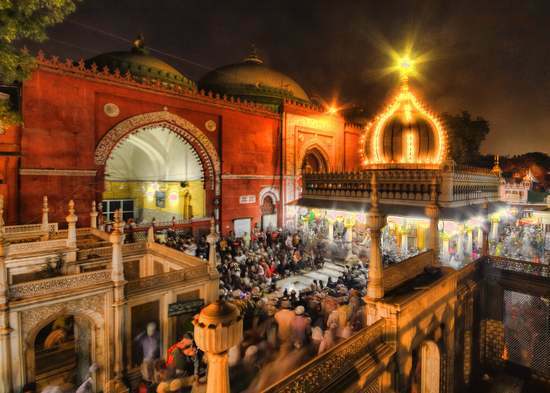 A secret tunnel was discovered by The Aga Khan Trust for Culture and Archaeological Survey of India (ASI) which linked Nizammudin Dargah to Nizammudin Ki Baoli. 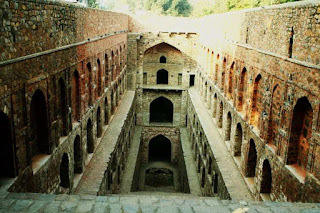 The Baoli has a wooden base and a well which intact even after 800 years. The water of the Baoli is considered holy by pilgrims. Tip– Attend the Kawallis on Thursdays and Saturdays, they are said to have a ‘special touch’. Here’s a great place for morning walks and family picnics! 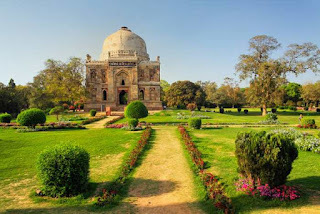 Lodhi Garden is spread over an area of about 90 acres, it has 5 beautiful architectural works of 15th century- Mohammed Shah’s Tomb, Sikander Lodi’s Tomb, Sheesh Gumbad and Bara Gumbad. You can soak up some sun with your family over a game of charades and some yummy sandwiches. Paharganj is the hub for cheap shopping, cheap lodging and cheap hogging. If you love leather bags and footwear, this is the place for you. You can get an amazing leather satchel for as low as Rs 200! The market is well known for silver jewellery and thrift shops. The culture of this market is quite like that of hill stations like Kasaul and the fact that you’ll see quite a few foreigners at any time of the day, you might just forget that you’re in Delhi. 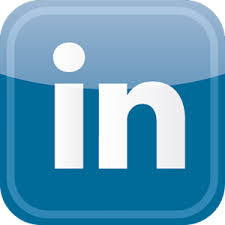 Tip– It’s best to see the market on foot. 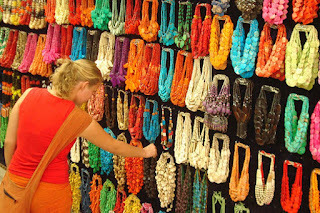 Delhi offers many places for inexpensive but quality shopping. Sarojini Nagar Market might just top that list. 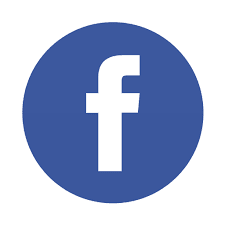 It is one of the most popular markets especially for clothes, footwear and accessories. One might simply describe it as a teengirl’s shopping paradise. Tip– If you’re new to bargaining, take an experienced person along. Bargaining here could get real nasty! युक्ति- यदि आप सौदेबाजी के लिए नए हैं, तो एक अनुभवी व्यक्ति को साथ में ले जाएं। यहाँ बार्गेनिंग वास्तविक बुरा हो सकता है !. Set your budget and go crazy shopping for ethnic wear. You get great salvar kameez, sarees, kurtas and kolhapuri chappals in this market. Lajpat market momos are extremely popular so if you’re fond of street food, don’t miss them. 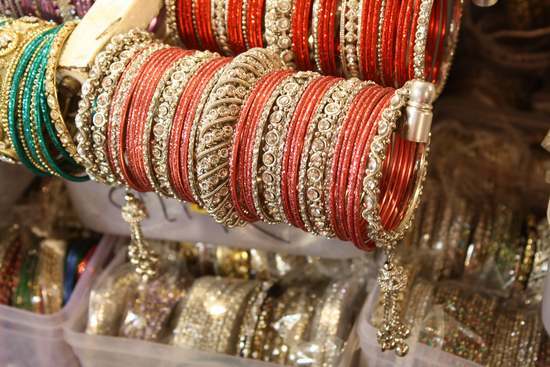 Tip– Get some henna on your hands on the way back from the popular mehndiwallas! टिप- लोकप्रिय मेहनतीवालों से वापस अपने हाथों पर कुछ मेहनो प्राप्त करें! This place is a walking tour of Indian culture. 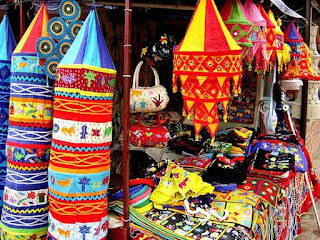 Shop for all the ethnic wear you wish, overload your bags with beautiful pieces of handicraft or just enjoy the weather while having a badam kulfi. There are food stalls dishing out scrumptious delicacies of different states of India. If you make an unplanned trip to Dilli Haat you might bump into a fancy exhibition or a dance/music performance. Tip 1 – Bargain as much as possible, it’s legal. Tip 2 – Don’t miss the momos at the Shillong stall. This place gives you a little bit of everything. An open air complex with huge solar panels on the roof, art exhibits in the galleries, yummy foods from the street of India and a good old American breakfast of bacon and eggs. 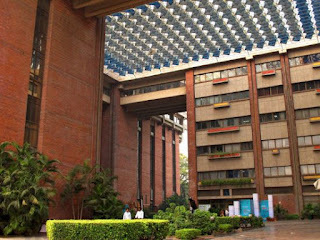 Ever since 2011, the Delhi Photo Festival is held here. Trivia– If you were wondering where the Rang De Basanti amphitheatre is, this is it! ट्रिविया- यदि आप सोच रहे थे कि रंग दे बसंती एम्फ़ीथियेटर कहाँ है, तो यह है! 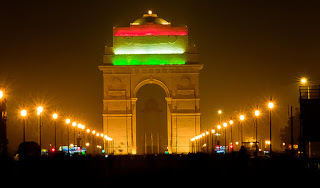 Everyone knows of the glorious India Gate! Round the year one can see people picnicking or just enjoying a nice walk around the area. There are beautiful fountains around to make the area nice and cozy. If you happen to come around the October-November period do sign up for the Airtel Half Marathon; an early morning run at Raj Path is bound to stay etched in your memory. Tip– Take a walk around India Gate with an ice-cream post sunset, you are sure to be mesmerized. 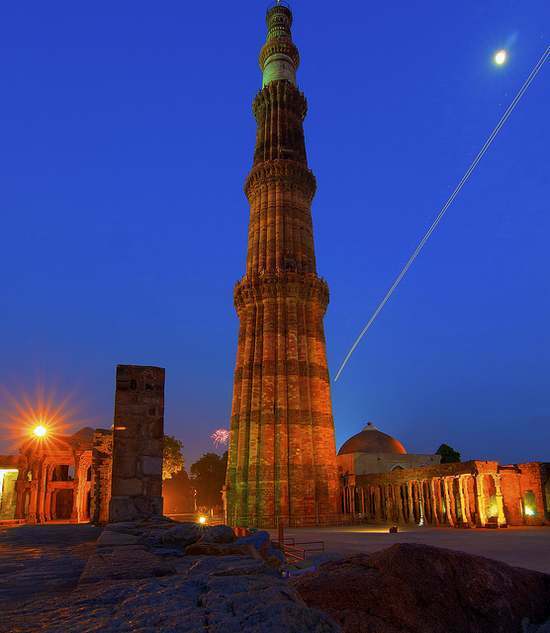 Qutub Minar is the 2nd tallest minar in India. It has been declared as a UNESCO Heritage Site. At the foot of the tower stands a mosque which is the first mosque built in India. It has a 7 m iron pillar in the courtyard with a fascinating saying attached to it. It is said that if you can encircle it with your hands while standing with your back to it your wish will be fulfilled. Tip– Read up about the history of Qutub Minar, it’s pretty interesting! टिप- कुतुब मीनार के इतिहास के बारे में पढ़ें, यह बहुत दिलचस्प है! Adding to the list of majestic monuments in Delhi, there is Red Fort. It is also a UNESCO WORLD HERITAGE SITE. It served as the residence for Mughal Emperors for nearly 200 years. The surviving structures of the fort are its walls and ramparts, the main gates, the audience halls and the imperial apartments. 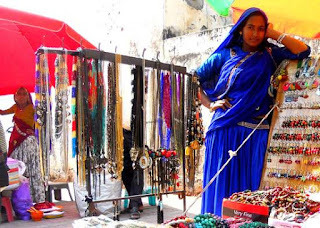 Chandni Chowk, which leads up to the Red Fort is one of the oldest markets in Delhi. It houses many religious buildings like the Gurdwara Sis Ganj Sahib, Jama Masjid, historical mansions, shops and eateries. Paranthe Wali Gali is one of the most famous eating areas in the market. The market is an amazing place to shop for fabrics, stationary (at Nai Sadak), hardware and silver and gold jewellery. Tip– Shop all day but do stay back for the light and sound show at 6pm at Red Fort. This is the third UNESCO WORLD HERITAGE SITE on our list. 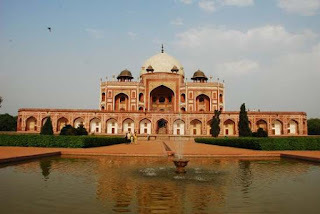 It was built after the death of Humayun by his senior widow Bega Begum. It is the first garden tomb in the Indian Subcontinent. 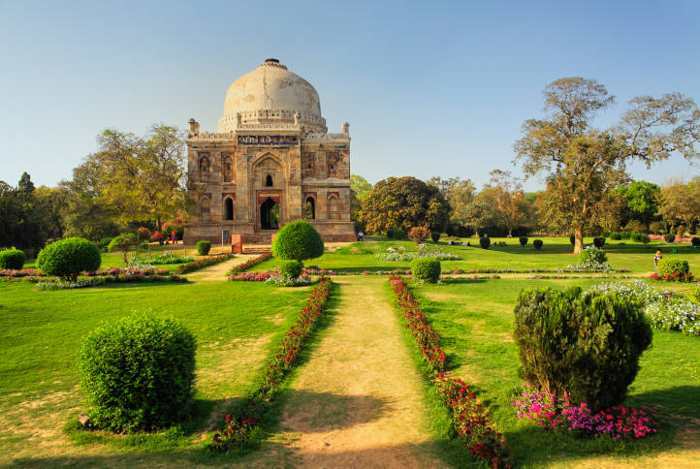 The tomb stands in the centre of a square garden called ‘Charbagh’ which has shallow water channels running through it. Several rulers of the Mughal Dynasty lie buried here. The President’s residence is one place you better not miss. The mansion is open to tourists for visit on Friday, Saturday and Sunday. 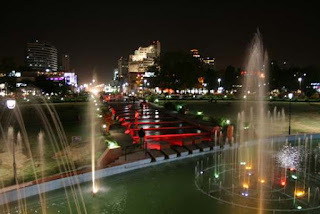 The Mughal Gardens with two channels and energetic fountains add to the beauty of the place. They are open to the public from February- March every year. Shop, eat, watch a movie or just laze in the Central Park; Connaught Place is the perfect location for all that. Have a milkshake in a glass bottle at Keventers or a coffee at Starbucks, pick up a sweet treat from Wengers or a burger from KFC; you have too many restaurants to choose from! Walk through the corridors of the market to find some low priced trinkets and novels. Shop for branded clothes, footwear and accessories all that in one big circular market. Get out of the inner circle to walk towards Janpath market to shop for trendy clothes, jewellery and showpieces at throwaway prices. Just a stone’s throw away from CP is the cultural hub of Delhi. Mandi House has many auditoriums which host stage plays and other performances regularly. Catch a stage act at Kamani Auditorium or Sri Ram Centre of Performing Arts to get an idea of how much talent this city has to offer! Tip1– Try out the popular Depauls coffee at Janpath. Tip2– Sit in Central Park after sunset, the CP circle looks beautiful when lit up! 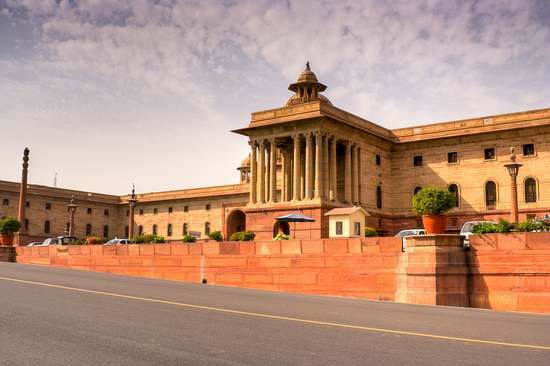 बस एक पत्थर सीपी से दूर फेंक दिल्ली का सांस्कृतिक केंद्र है मंडी हाउस में कई ऑडिटोरियम हैं जो मेजबान मंच के नाटकों और अन्य प्रदर्शन नियमित रूप से करते हैं। इस शहर को कितना प्रतिभा पेश करने का विचार प्राप्त करने के लिए कामनी ऑडिटोरियम या श्री राम सेंटर ऑफ परफॉर्मिंग आर्ट्स पर एक मंच अधिनियम को पकड़ो! 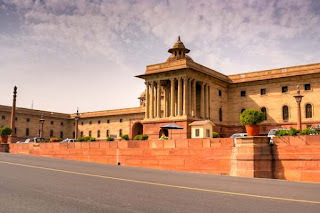 टिप 2- सूर्यास्त के बाद सेंट्रल पार्क में बैठो, सी.पी. So you have shopped at Connaught Place and are headed home? Not just yet! Make a stop at the beautiful white marble Sikh Gurudwara. The melodious chanting of hymns will transport you to a different world all together. 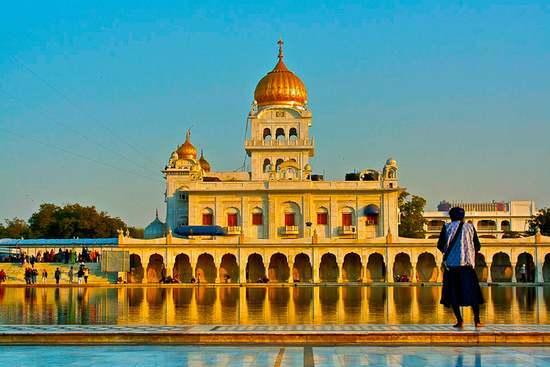 The ‘Sarovar’ which is a holy water body in the Gurudwara premises keeps it cool all year long. The ‘Kada Prasad’ is too yummy, just melts in your mouth. Tip– A dip in the Sarovar early in the morning and a taste of the Langar is a must. This mausoleum is one without a tomb. It is the site of burial of our Father of the Nation. The location is beautifully kept with manicured lawns and red stone paths. Raj Ghat area also has memorials of other famous leaders like Pt Jawaharlal Nehru, Lal Bahadur Shastri etc. 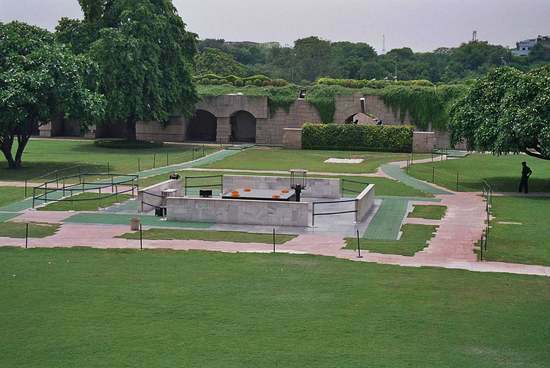 Raj Ghat makes a good place for a refreshing walk with a dose of some history trivia. Tip– If you don’t want to take a guide, eavesdropping on the ones accompanying foreigners is a good deal. 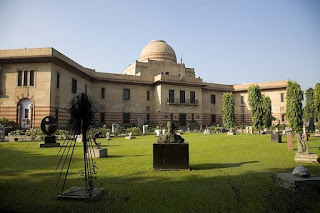 Places to visit in DELHI. 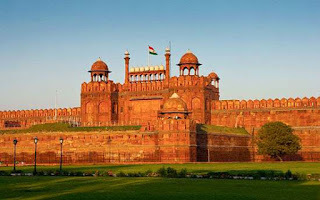 Top visiting places in DELHI.